Friday, February 10, 2017 from 1:00 p.m. to 4:00 p.m. The roundtable gives current or prospective small business owners insight into the SBA Guaranty Loan Program and the criteria used by loan officers to evaluate a loan request. A team of experts will demystify the lending process, debunk the myths about SBA programs, and share real life examples of successful loan applicants. The roundtable is taught by experienced lenders with expertise in small business and SBA financing. Over 2,000 clients have attended the roundtables since 1998. The roundtable is best suited to those seeking financing for their business, have good credit, a solid business idea, and some money to invest in the business. Team SBA or call 269-387-6004 . Please note: SBA does not provide loan guarantees to real estate investment companies and this topic will not be part of the discussion. Join the SBA Houston District Office, Tri-County Regional Black Chamber of Commerce, LiftFund and Woodforest National Bank, as they help you become BUSINESS SMART. This Lunch and Learn workshop will provide information about starting and growing your business, plus what it takes to get financing. Come out and take part in this Q & A Lunch and Learn workshop. SBA’s Emerging Leaders Initiative Helps Entrepreneurs Grow and Succeed sign up today !!! If you’re looking for a solution on how to grow your small business in 2017, the SBA may have the answer. Recruitment for the SBA’s Emerging Leaders 2017 training cycle is now underway at selected and we’re looking for interested small businesses.Since 2008, Emerging Leaders has trained more than 4,000 promising small business owners in underserved communities, and continues its impact in helping small business owners grow and create jobs. How Emerging Leaders Works: Emerging Leaders is a FREE executive-level training program that provides tools and resources to help underserved small companies to sustain and grow. Now in its ninth year, Emerging Leaders is an intensive entrepreneurship education series for small businesses that have the potential for quick growth and job creation. The initiative has been a change-maker in increasing opportunities for underserved communities, and it provides participating businesses with an organizational framework, as well as a resource network, that helps to form sustainable companies and promote economic development within urban and rural communities. Sessions are usually held in the evenings, on a bi-weekly basis. Participants commit approximately 40 hours of in-class time, divided over 13 in-person sessions. Participants will also spend at least 12 hours over the course of the curriculum in self-directed CEO mentoring groups. All instructional in-class sessions, CEO Mentoring Groups and session preparation are interconnected and of equal importance. In total, each participant can expect to commit approximately 100 hours to analyzing their business and planning for growth. • $17 million in new financing. • Nearly 70 percent saw revenue growth. • Over 80 percent created new jobs or retained all existing jobs. • Over $700 million secured in federal, state, local, tribal and corporate contract awards. The SBA administers this business assistance program for socially and economically disadvantaged businesses who want to access the federal procurement market. The 8(a) Business Development Program helps small businesses gain a foothold in government contracting. Upon enrollment in this program, firms receive help with finding contracts, proposal preparation and contract administration. What are the basic requirements for this program? The applicant must be a small business, unconditionally owned and controlled by one or more socially and economically disadvantaged individuals who are U.S. citizens, been in business for at least two years and demonstrates a potential for success. The Historically Underutilized Business Zone Program stimulates economic development and creates jobs in urban and rural communities by providing federal contracting assistance to small businesses. Requirements: Firm must be located in designated HUBZone to qualify and at least 35% of its employees must reside in a HUBZone. What is the WOSB Federal Contract Program? The SBA administers federal contracting opportunities for women-owned small business (WOSB) and economically disadvantaged women-owned small business (EDWOSB). The Women-Owned Small Business (WOSB) Federal Contract program authorizes contracting officers to set aside certain federal contracts. Looking for Financing for Your Business in the New Year? Want to start or expand a business and need funding but, don’t know where to go for financing? Please share this event with family and friends! The SBA San Diego District Office and the Alpine Chamber of Commerce are hosting an SBA Day event and Lender Fair on Wednesday, January 18th. Presented by representatives from: SCORE, the Small Business Development Center, the Veteran's Business Outreach Center, and more. Explore entrepreneurship and small business ownership in this information session, to help decide whether starting your own business is right for you. 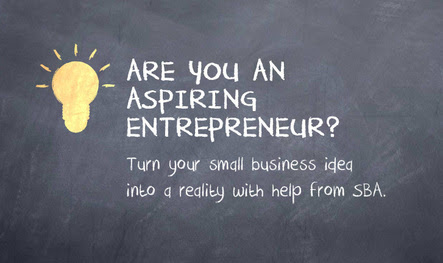 Are you interested in starting a small business but don’t know where to start? Do you already own a small business and need assistance with marketing, employee management, setting up financial statements? Interested in possibly getting a loan? Join us as experts from the SBA guide you through all the resources available to you and your small business. Let them show you where to go to get an expert help you draft a business plan for FREE, where to find financing for your business, exporting, how to get started in the world of government contracting, and more! BUSINESS SUCCESS: LUCK OR SKILL? RSVP: Register by Noon Monday, Monday, January 9, 2017 to: Susan Rezanina, susan.rezanina@sba.gov or 307-261-6520. PLEASE RSVP TO RESERVE YOUR LUNCH!!!! Presenters: Susan Jerke, Regional Director, Small Business Development Center, and Steve Immel and Susan Rezanina of the Small Business Administration. Join the Houston District Office, at the EO Houston - Veterans Business Battle at Rice University February 24-25, 2017. Stop by our booth and speak with a SBA representative about Veteran Small Business opportunities. 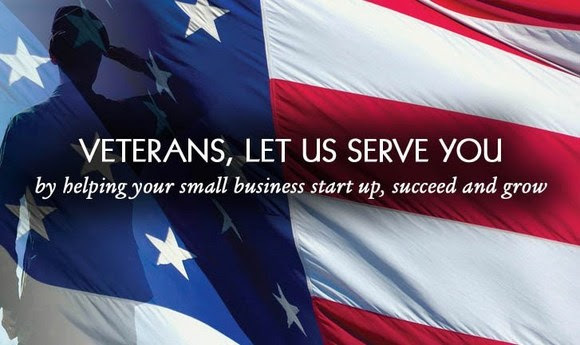 All honorably discharged or active military owning, starting or having the opportunity to buy a business and looking for capital, advice, resources or connections are invited to enter the Veterans Business Battle competition. What makes a winning idea? A new solution, new product or new way of delivering a service. We welcome ideas from all industries. The finalists will be invited to compete in the EO Veterans Business Battle, where they will present their idea to potential investors and judges. Semi-Finalists will be invited to the competition to attend the presentations, educational classes, set up a table top display, network and receive a ticket to the inspiring awards reception. Qualifying individuals or teams must apply to participate in the competition by January 9, 2017. Finalists will be notified by February 1, 2017 and be invited to pitch their idea to investors and judges during the competition February 24-25, 2017. For additional information and competition requirements, click the "Register Now" button. The Detroit Public Library is offering free Workshops in the month of January, please share the information with business minded individuals and entrepreneurs looking to take advantage of our services. The Small Business Development center offers no-cost business counseling services to entrepreneurs. Whether you’re thinking about starting a business, need help with your business plan, or want to grow your current business, SBDC has you covered. By appointment only. Contact the Detroit Public Library’s Business, Science & Technology department to reserve your seat or register by email.